Roopangarh Fort is one of the favourite place for those who have some sense of history and want to enjoy Rajasthani culture and history both at te same time. 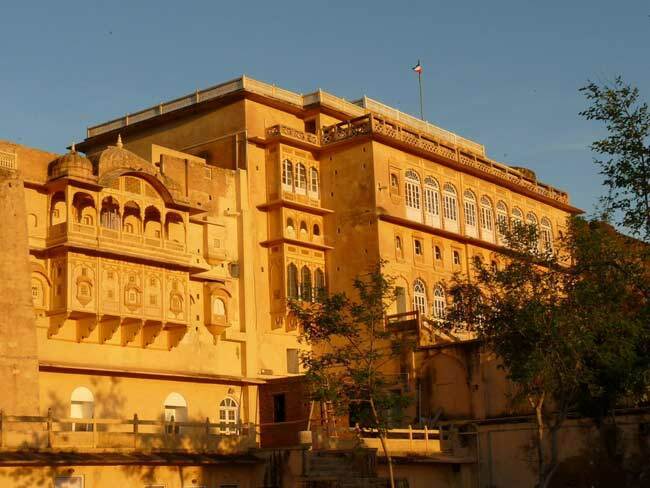 Now converted to a heritage hotel, Maharaja Roop Singh constructed it in 1648 A.D. Known for its unmatched architecture style, Roopangarh Fort also served as the strategic place for the Rajputana movements. Built by best Rajasthan stones and marbles, Roopangarh Fort has a royal decorated interiors. By Road: Roopangarh Fort is located on north of Kishangarh city at a distance of 30 km. One can easily reach here by Roadways bus or taxi. By Rail: Roopangarh Fort is well connected through nearest Kishangarh Railway station (31 km) to major cities railway stations like Delhi, Agra, Mumbai, Chennai, Bikaner, Pali, Jaipur, Ahmedabad. By Air: Roopangarh Fort can be reach through nearest Jaipur Airport (107 km) which is well connected with regular domestic flights to Delhi, Mumbai. Can local people visit here..?? If yes, then what is it’s price ? ?